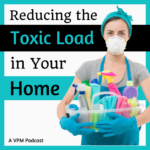 Today I want to share some of my tips about reducing the toxic load in your home. For the last 2 weeks I had Nicki Williams on my show talking about hormones and how easily they can get out of balance especially once we reach peri-menopause…which can start as early as 35 years old for some of us! 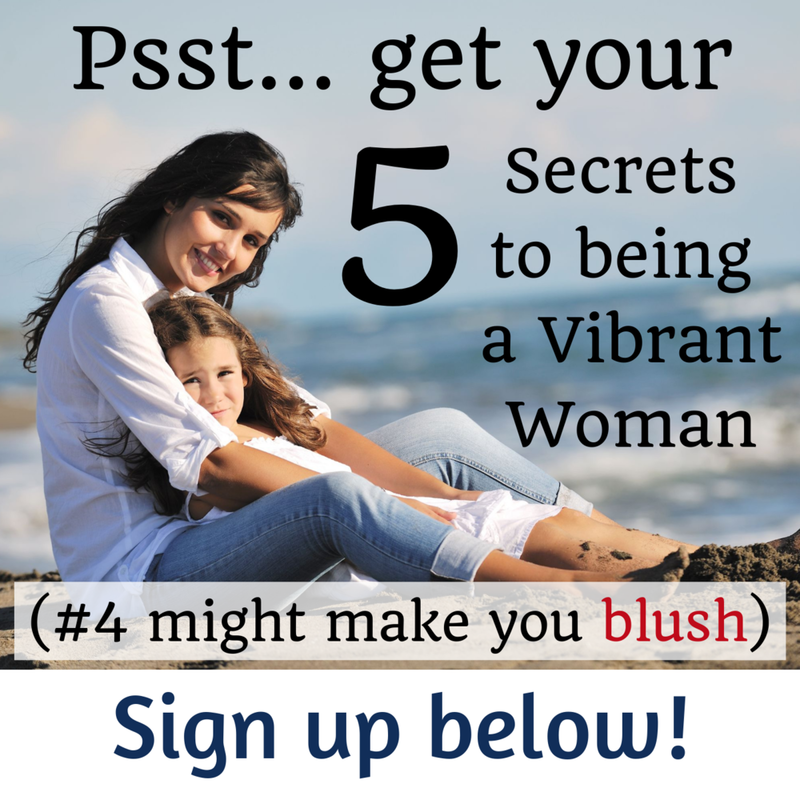 Part of our conversation was around her Happy Hormone Code which involved making changes in 4 areas of your life – namely; diet, relaxation, cleansing and exercise or movement. During the discussion I realized, I have been on the detox your life program for a lot of years now – more than 15, and during that time I have learned a lot of ways to decrease my toxic load AND I totally recall how overwhelming it was when I first started learning about it. I thought I would share some of my tips with you …and as I started creating a list of what to share I realized I might have too much information to share in one show! As a result, today, I’m going to focus mainly on household products and then next week I’ll get into personal products that I use. In both situations I will mention some name brands, but I want you to know that there are other options out there…these are just the ones I use because they are what I’ve found and have access to. Some of them I’ve totally fallen in love with while others I use more out of necessity. The first book I read that completely changed my outlook on the many products we use in our homes, on our bodies, on our lawns, etc, was by a woman named Dr. Hulda Clark. She wrote The Cure for all Diseases, The Cure for all Cancers, and many other books. Listen to the podcast for the full story…what's below are some of the main ideas I shared to save you taking notes if wanted to try any. For laundry, I switched to borax mixed with arm and hammer soap. I added tea tree oil as an anti-bacterial and vinegar to the rinse to soften the cloths. Over time this became a bit of a pain so I started looking for easier store bought options. I now use Ecos for the wash with oxyclean for an extra boost. I’m not sure how pure those two are, but they work and I don’t get a rash from them and they say they are gentle on the environment…Plus with a front load washer I use such a small amount, I feel good about it. Simple Tip #1: Your laundry – clothes, sheets, towels - touch your body all day every day… it’s worth it to become aware of less toxic soaps and softeners alternatives. Use the power of nature to help you freshen things up when you can. Sunshine costs you nothing and is a super powerful cleanser. I never use fabric softeners or dryer sheets in my dryer, but I do use plain white vinegar in the rinse cycle dispenser with the addition of an essential oil blend called Purify from deTERRA. I plan to try the magnets you put right in your washer and then don’t use soap at all, but I haven’t gone there yet. I also have wool dryer balls which I add an essential oil to when I want things to have a smell extra beautiful. Prior to this I used a clothesline for many years, but I found it to be a lot of work and sometimes my cloths (towels mostly) felt stiff and hard. However, to this day if things ever get a moldy smell or just need some freshening up I use the power of sun to deal with it. I also put any new items I buy that need to off-gas outside in the sun for a few hours or at least out in fresh air in my porch if they can’t sit in the sun. I shared a great story on the podcast about tea-tree and how it saved my kids from dealing with lice and helped a friend finally end an ongoing problem with those pesky little critters. It's way better than the toxic shampoo they suggest you use. For cleaning my house using Hulda’s instructions, I used a homemade cleaner made of vinegar, water and vodka. I also bought food grade hydrogen peroxide and used that whenever I would normally use bleach or ammonia. I shared a warning on the show about using 35% H202. If you plan to try it, please listen to the warning first. I still use it, especially if someone has a fungus or infection. I also love it in a bath to make it wonderfully refreshing and find it awesome for cleaning and revitalizing produce from the store… I’m just very careful with it when I do. Simple Tip #2 – find a glass spray bottle and fill it with water. Add drops of your favorite essential oils to it and spray it on your carpet, drapes, couches, dog beds…. You can also buy a nebulizer or diffuser and drop some essential oils in it to freshen up a room. Norwex also made my cleaning life easier. Using their cloths, mops and other products meant I could clean with just water and wind up with spotless windows, tables and floors. I now add some doTERRA essential oils to spray bottles with water to make my house smell like lemon, lavender, orange bliss or whatever else I might feel like enjoying. I never, ever, use other sprays to cover up odors or deodorize a room, not even the really popular one they are now adding to laundry detergents and garbage bags. It is not as pure as they would lead you to believe (they give me an immediate headache) which is unfortunate since it is so popular. I also avoid the smelly plug-ins you can buy to freshen up a room. They too are toxic and can be easily replaced with the spray or diffuser I mentioned above. Although a diffuser or nebulizer might seem more expensive at first, over time it will save you loads of money since you can reuse it for many years. Finally, candles are beautiful, but be sure to get pure natural ones like beeswax or soy with essential oils for smells. Other candles have toxic components like perfume and other dangerous compounds which are going into the air you breath even when they are not lit. Getting rid of my normal deodorant taught me pretty quickly that man made or synthetic material was not good for me. As a result, I became aware of the products my clothing were made from and now do my best to buy all cottons, linen, hemp, bamboo and rayon (because at least it’s a blend with natural fibers in it). Simple tip #3 – decrease your toxic load by always washing new clothes before wearing them and showering after trying on items in the store. Simple tip #4 – when possible avoid touching cash receipts and when you must touch them take the time to wash your hands thoroughly afterwards. I often ask the sales clerk now to put the receipt in my bag if I feel I need a receipt. When I get home I do my best to either not touch the receipt or wash my hands with a non-toxic soap and water immediately after. If I don’t need the receipt, I tell them to keep it. When I first read Hulda’s book I stopped using most soap and instead focused on hand friction. She suggested it was the friction of the hands rubbing against one another that made the greatest difference in handwashing with the addition of a borax solution or homemade soap for when you absolutely needed it. Simple tip #5: avoid antibacterial soap unless you work in a hospital or other place that requires you to use it. At home use soaps that do not include phlalates (perfumes), sodium laurel sulfate or propylene glycol and in all cases use less soap and more rubbing to get the job done. Eventually I found doTERRA who has a beautiful foaming hand soap which has an essential oil blend of theirs called On Guard in it. It smells heavenly, works perfectly and boosts your immune system every time you use it. In my kitchen right now I use 7th Generation dishwashing soap and Ecover dishwasher tabs. My rinse agent in the dishwasher is also Ecover and I only use it when it’s obvious that I need it. I never use the dry cycle in my dishwasher and I try not to put plastic in there. In fact, while I used to use a lot of plastic containers and bags for leftover food, I now have the pyrex glass dishes which I use whenever I can. I do not have a microwave by choice, but if I did I would not use plastic to re-heat foods. Please remember that these are the things that worked for me. I’m not suggesting my ideas are the answer for you, I’m simply putting them out there as a way to help you if you are looking for places to start. This is not about living in fear, but about taking back your power and choosing how you are going to live your life. Listen to the podcast for the full story on detoxing your house and feel free to share you favorite 'safer' products with us below. Next week I’ll talk about personal products that I use regularly for my hair, teeth, periods…as well as make-up and moisturizers; so be sure to tune in for all the goods.